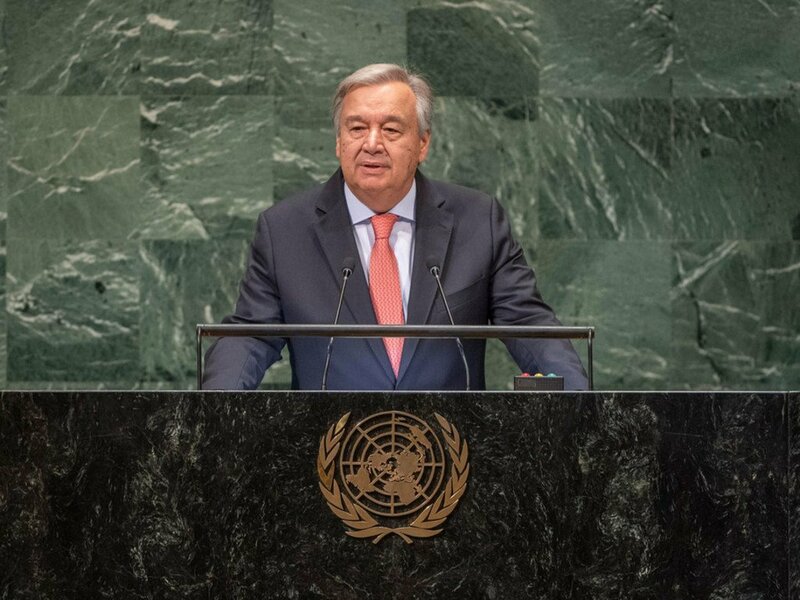 Secretary-General António Guterres presents his annual report on the work of the Organization ahead of the opening of the General Assembly’s seventy-third general debate. Facing a world where trust – trust in national institutions, trust among States and trust in the rules-based global order – is at a breaking point, Secretary-General António Guterres set the stage for the 73rd general debate of the United Nations with a call to rebuild solidarity, repair broken trust and reinvigorate the spirit of multilateralism. “As guardians of the common good, we also have a duty to promote and support a reformed, reinvigorated and strengthened multilateral system,” said the Secretary-General, addressing the annual gathering of world leaders at UN Headquarters on Tuesday. 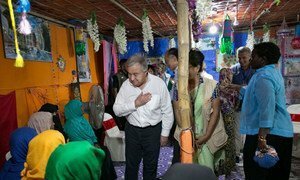 Mr. Guterres’ annual opening message, which draws from his yearly report on the work of the Organization, also highlighted the persisting challenges facing the people and the planet, including the seemingly unending conflicts in Syria and Yemen, the suffering of the Rohingya people and the threat of terrorism, non-proliferation and the use of chemical weapons. He also drew attention to increasing inequality and the “discrimination and demagoguery” faced by migrants and refugees, in the context of clearly insufficient international cooperation, as well as cautioned against widening inequalities, tensions over trade and pressures on human rights around the world. “It is our common duty to reverse these trends and resolve these challenges. We need to move ahead based on facts, not fear – on reason, not illusion. Prevention must be at the centre of all we do,” stressed Mr. Guterres. “If we do not change course in the next two years, we risk runaway climate change … We need greater ambition and a greater sense of urgency,” he said. Underscoring the need to ensure full implementation of the Paris Agreement on climate change, Mr. Guterres urged world leaders to make maximum use of upcoming such as the Conference of Parties to the UN Framework Convention on Climate Change (UNFCCC), or COP24, in Poland in December to strengthen global resolve against the threat. Turning to new technologies, Secretary-General Guterres highlighted the benefits offered by such advances, including to further the sustainable development agenda, but added that alongside the advances, considerable perils are also present. “Despite the chaos and confusion in our world, I see winds of hope blowing around the globe,” said Mr. Guterres, noting the recent signing of the historic peace agreement between Ethiopia and Eritrea, the start of the peace process between Djibouti and Eritrea, and other positive developments elsewhere. The approval of a compact on refugees and another on migration also represent signs of hope, he said, highlighting also the promise offered by the world’s young people, gender equality gaining ground and growing awareness of discrimination and violence against women and girls. He also stressed that the UN must lead the way in pursuit of gender equality. “For the first time in United Nations history, there is full parity in our Senior Management Group and among Resident Coordinators leading country teams around the world. We are firmly committed to equality and empowerment everywhere,” said the Secretary-General. In conclusion, Mr. Guterres recalled the words of former Secretary-General Kofi Annan, in which Mr. Annan said that the world shares a common destiny and that everyone can master it only if they face it together –that is why we have the United Nations. “Our future rests on solidarity,” said Mr. Guterres, calling on everyone to help repair the broken trust. As the world’s problems grow, multilateralism represents to best path to meet the challenges that lie ahead, said United Nations Secretary-General António Guterres on Tuesday, launching his annual report.